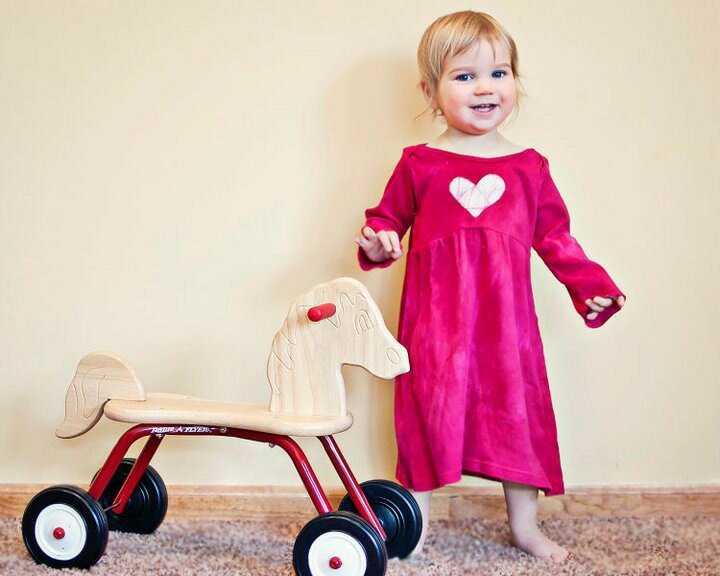 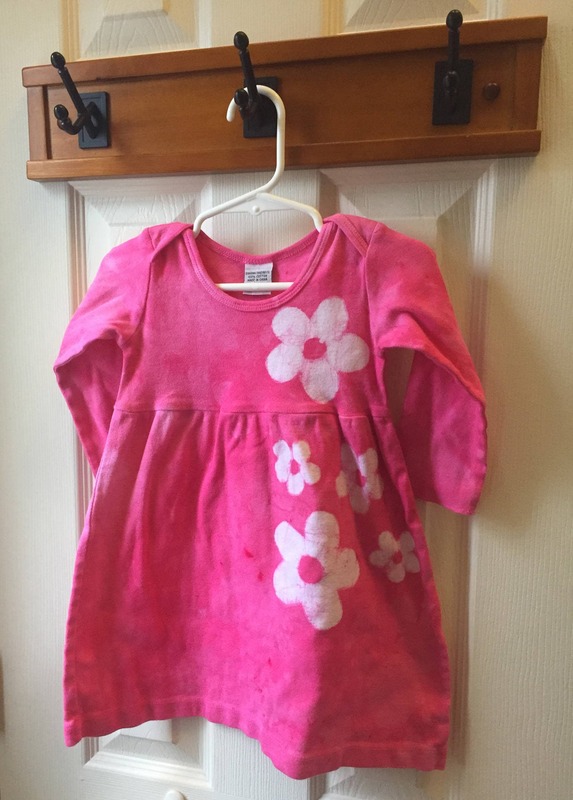 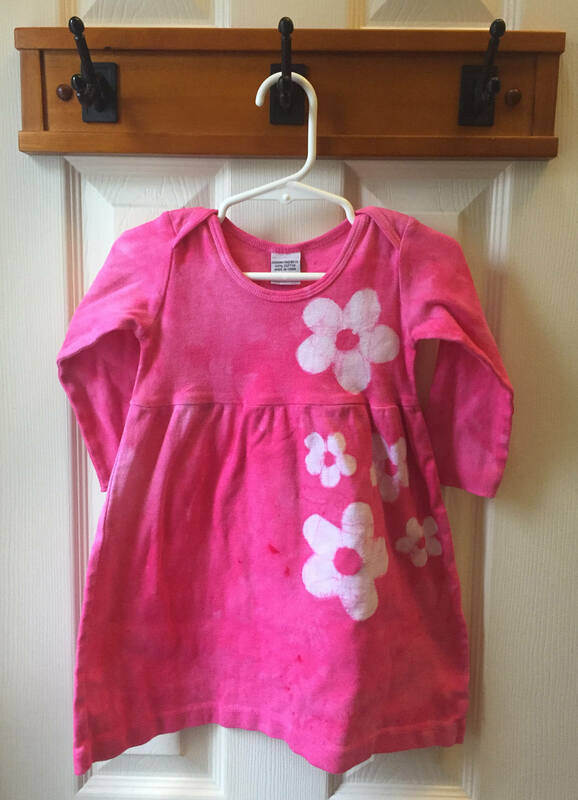 This dress is a size 12 months long-sleeve baby dress. 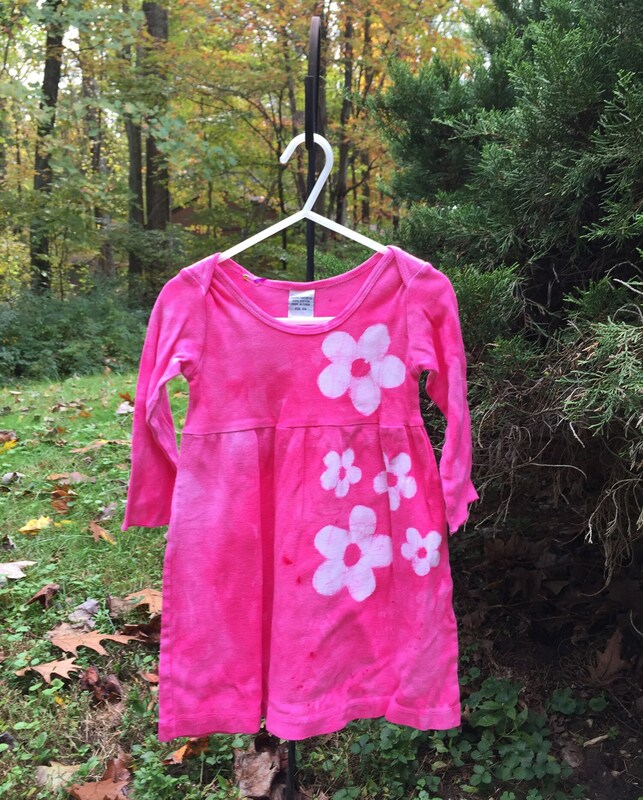 I stenciled flowers onto the bodice and skirt before dyeing the dress the prettiest shade of baby pink I've got. 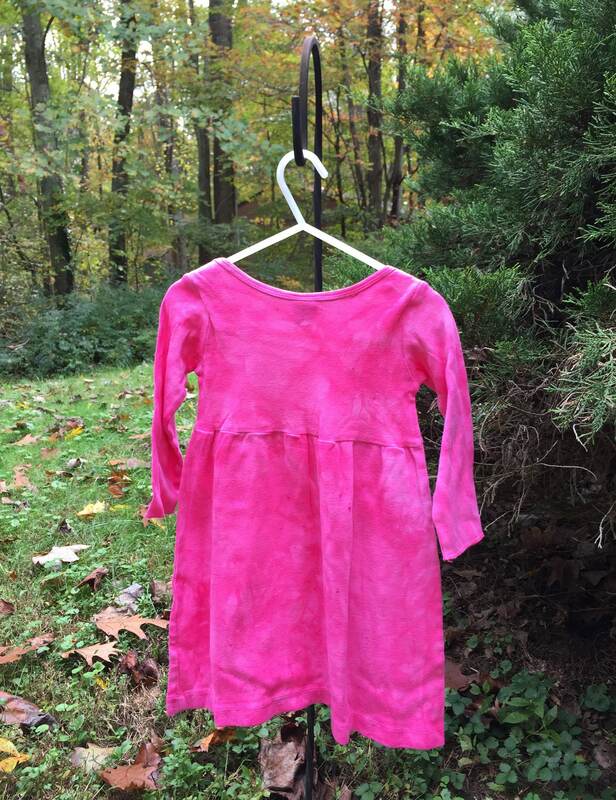 The dress has lap shoulders for easy dressing.